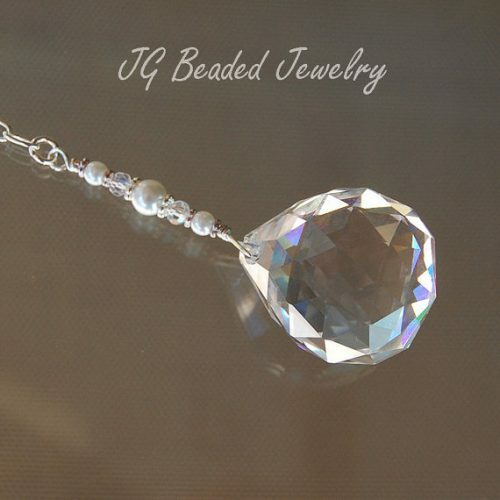 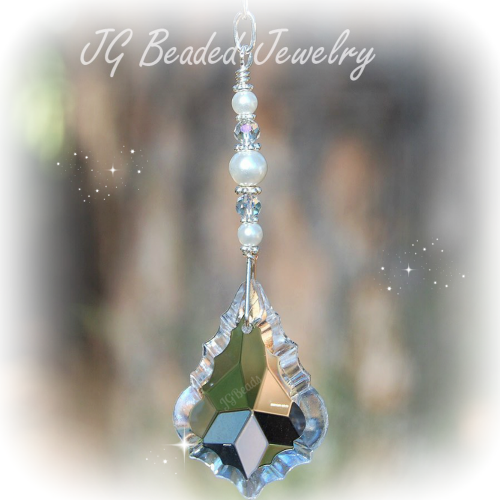 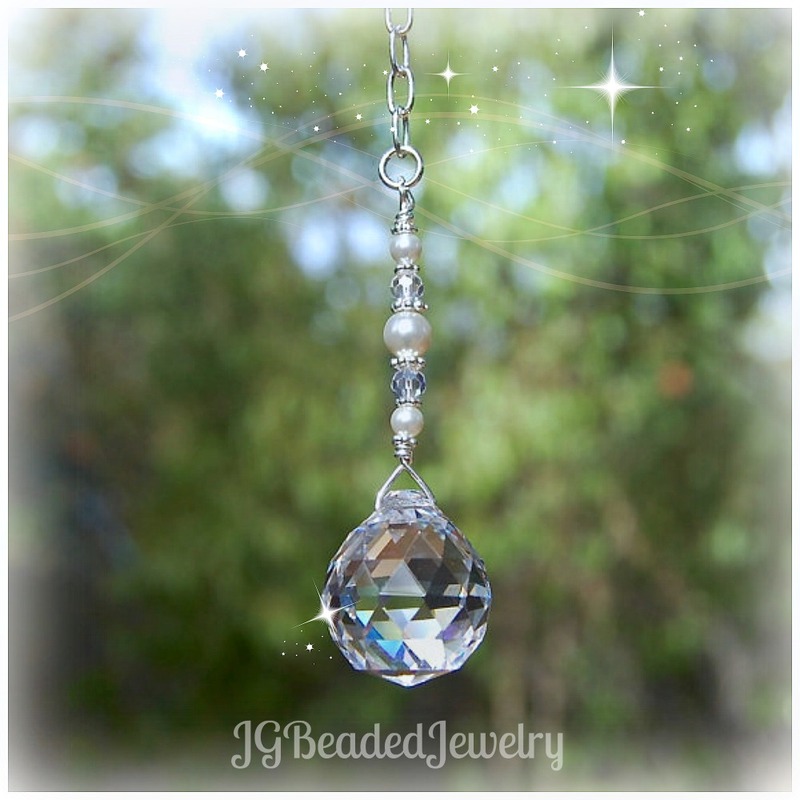 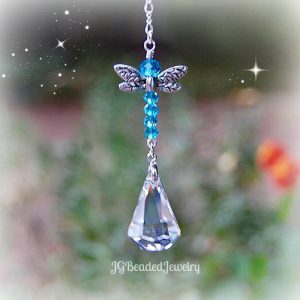 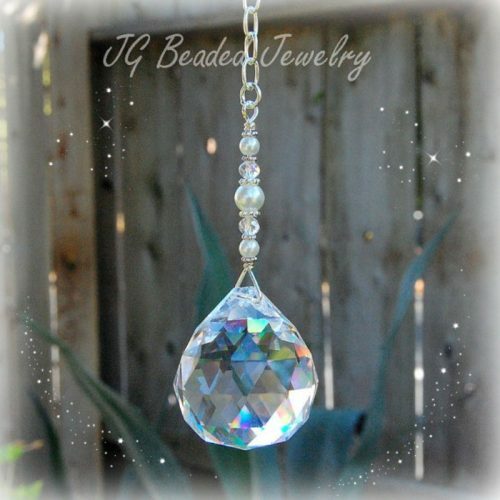 This Swarovski pearl crystal decoration is wire wrapped by hand for strength and longevity with 20mm crystal clear prism, aurora borealis faceted crystal beads, beautiful Swarovski glass pearls and fancy silver metal spacer beads. 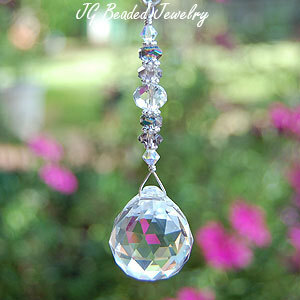 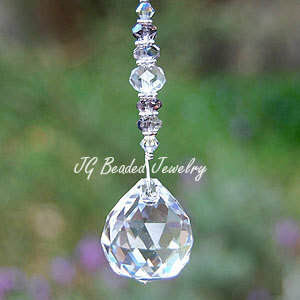 Hang it on the rearview, in a window or from the ceiling light/fan! 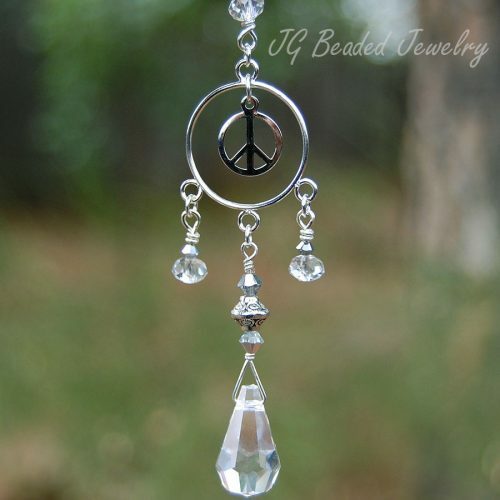 Suncatchers are a wonderful gift that will last for many years to come!